The Player understands and acknowledges that the games and the online community services provided on the Site are for entertainment purposes only. Any use of the Site for any other purposes or intention is strictly prohibited. You hereby acknowledge that your interest in the games and the community services provided by Gaming Operator is of a personal nature. The Player acknowledges and agrees that it will not be involved in any fraudulent, improper, collusive, misleading, fixing, manipulative or other unlawful activity in relation to the Site or services provided by the Gaming Operator, including but not limited to use of any software-assisted methods or techniques or hardware devices for the participation in any of the Games or manipulation of Gaming Operator’s gaming system that may distort normal game play, or attempt to collude with another Player of the Games or participate in the act of intentionally losing money to another Player (chip dumping), or provide incorrect information. Such behaviour is expressly prohibited and in the event of such behaviour the Gaming Operator reserves the right to take such action as it deems appropriate, including without limitation, immediately closing the Player’s account and invalidating any wagers placed by the Player utilizing such fraudulent methods. If a Players account has been Closed per section 1.7 above the Gaming Operator will re-open the Player’s account if the Player lodges a complaint and provides Gaming Operator with reasonable proof that the Player has not been involved in the aforementioned unlawful activities. The Player must provide such reasonable proof to the Gaming Operator latest within six (6) months from the date the Player’s account was Closed. Otherwise the Player has lost the right to the funds in the closed Player’s account and the funds will be seized by the Gaming Operator. The procedure for lodging a complaint is set out under the section “Complaints” below. In order to use the services provided by Gaming Operator the Player must open an account (a “Player’s Account”). Only one Player’s Account is allowed per Player and Players must register personally. The Gaming Operator reserves the right to refuse any application for a Player’s Account. Notwithstanding the foregoing, the Gaming Operator will honour its already entered contractual obligations. The Player (including in this case any person applying to become a Player) must always provide and maintain valid, complete and correct information to Gaming Operator. You hereby acknowledge that if any of the information that you provide to Gaming Operator is false or incomplete, Gaming Operator will not accept your registration as a Player and should you already be registered as a Player with Gaming Operator, Gaming Operator is entitled and required to cancel your registration as a Player and close your Player’s Know Your Customer (KYC) procedures are carried out by the Gaming Operator in order to positively identify Players. The Gaming Operator is entitled to conduct any and all identification and other verification checks that may be required by applicable laws and regulations and/or by the relevant regulatory authorities for use of the Site. The Player is obligated to, upon request from the Gaming Operator, provide official documents in writing such as, for example, an addressed electricity bill, a bank account statement or any other written documentation which the Gaming Operator may find necessary in order to confirm the correctness of the information provided by the Player in connection with the registration or thereupon following verification procedures. Upon registration, the Player must select a password. The password must consist of a minimum of eight characters and it is recommended that the password includes a mix of letters, numbers and special characters. It is not recommended to use personal information or common words as passwords. Players must always log on using their username or email address together with their password when accessing the site. Players may not allow any person other than themselves to use their Player Account to access and/or use any materials or information from the gaming system to accept any prize or to participate in any of the games. It is strictly prohibited to sell, transfer and/or acquire accounts to or from other Players. 5. A commission of 30% on your winnings is charged as a commission after each game, the winner will receive 70% of the winning once game is over. 6. The password should never be written-down or communicated to any other person, and should be changed on a regular basis. You are obliged to keep your account information, user-name and password secret and confidential and you are solely responsible for all use of the services through your user-name and password. In case you become aware of any known or suspected unauthorized use of your Player’s Account or any breach of security you are required to immediately notify Gaming Operator hereof in order to suspend your Player’s Account. Any unauthorized use of your user-name or password shall be deemed as your use and you are responsible for all charges to your Player’s Account until such notification is made to Gaming Operator. Should a Player give away, share, or lose its user-name and/or password, the Gaming Operator shall not be liable for any loss or damage as a result thereof. Open: A Player’s Account can only be opened by the Player and will remain open as long as the account is not classified as Closed, Inactive or Dormant by the Gaming Operator, or until Blocked or Terminated by the Player (“Open”). Inactive: A Player’s Account will automatically be classified as inactive if no log-in and/or log-out has occurred on the Player’s Account during a period exceeding twelve (12) consecutive months (“Inactive”). In accordance with Section 22, the Gaming Operator will charge an administrative fee for the costs incurred by the Gaming Operator for maintaining of the Inactive Account until the Player’s Account status is changed to Open, Dormant, Closed or Terminated (“Maintenance Fee”). Dormant: A Player’s Account will automatically be classified as dormant if there has been no log-in and/or log-out on the Player’s Account during a consecutive period of thirty (30) months (“Dormant”). When an account is classified as Dormant Section 12.3 applies. Blocked: A Player’s Account may be blocked by the Player in accordance with Section 12.5 below when the Player wants a break from gaming (“Blocked”). Blocked accounts are not subject to any additional fees. Suspended: A Player’s Account can be suspended by Gaming Operator. A Suspended Account will have limited functionality and it may be that the Player is unable to wager, deposit, withdraw or update their account depending on the reason for suspension. The Gaming Operator does not accept cash payments to the Player’s Account. Deposits can only be made via the Applications,Site or Banks,. Know Your Customer (KYC) procedures are carried out by the Gaming Operator when Players deposit money. Available payment methods, associated fees and requirements are listed in Section 22. Detailed information concerning the payment methods is available on the Site. The currency of the Player’s Account is decided upon registration. The Gaming Operator accepts payments made only in Naira. A Player may access its Player’s Account immediately upon affecting the deposit and the payment supplier’s confirmation that the transaction has been affected. A Player may place wagers as soon as the Player has access to the funds on the Player’s Account. All deposits are made in real-time and if completed successfully will be credited to the Player’s Account in/before 24 hrs. All deposits are irreversible. A wager can only be placed over the internet. Gaming Operator will not accept a wager from a Player unless there are sufficient funds in the Player’s account to cover the amount of the wager. Gaming Operator reserves the right to refuse or limit any wager. Gaming Operator will not grant a Player any credit and the Player may not use any amounts credited in error for the purpose of placing a wager. Player shall not treat the Gaming Operator as a financial institution. Neither deposits nor winnings are interest-bearing, i.e. the Player will not receive any interest on the balance on the Player’s account. Players are not entitled to make any transfers between Players or between different Player’s Accounts. Deposits made to a Player’s Account must be used as wagers in playing games . A deposit must be wagered at least once before a withdrawal can be initiated. All wagers are binding for the Player when made and cannot be cancelled. If a wager is placed or a hand is played using the username and password of a Player it will be considered to have been made by that Player and therefore valid. The Gaming Operator endeavors wherever possible to ensure the full protection of all Players and their wagers. However, there are certain events that are beyond the Gaming Operator’s control and the Player acknowledges that the games are played over Internet, and, in the case of mobile devices, over the cellular mobile telephone networks. These are communication mediums that are known to be imperfect. If a Player has wagered on a game, but has not started the game when disconnected through a technical malfunction, the game will not take place. If the Player has wagered and has started the game when disconnected the game will be recorded on the game servers and the wager will stand and the outcome will be reflected in the Player’s Account status and, if the Player wins, the amount will be credited to the Player’s Account. The Player understands that in the event of disconnection the records stored on the game server shall be the final authority in determining the terms of any wagers placed and the circumstances in which such wagers were made. The Gaming Operator reserves the right, at any time and without prior warning, to cease to offer an announced game and to withdraw a scheduled gaming activity. In such event all commenced but not completed games will be annulled and the wagers will be repaid to the Player. In accordance with Section 22, there is a minimum amount of any single transfer (deposit) to a Player’s Account (“Minimum Deposit Amount”). In case a transfer is initially accepted and thus shown on the Player’s Account and the Gaming Operator later receives notice from the card issuer that the transfer for any reason shall be reversed, Gaming Operator will temporarily Close the Player’s Account on suspicion of fraud or stolen credit card. Financial institutions, card providers, banks and other third party payment processors may charge a fee for processing payments (“Third Party Payment Processor Fees”). The Player is liable to pay any and all such Third Party Payment Processor Fees. The Gaming Operator may charge deposit fees as defined in Section 22. Gaming Operator will monitor all wagers and account transactions. It is prohibited and unlawful to deposit money from ill-gotten means. Therefore, all transactions are checked to prevent money laundering and all suspicious transactions will be reported to the Gaming Operator’s Money Laundering Reporting Officer (MLRO) who will report to and advise the relevant authorities. A Player can at any time log in to his account and view a statement of his account which would show all transactions effected on that account, namely deposits, bonuses, winnings, wagers and withdrawals. Should the Player notice any mistakes he must notify the Gaming Operator immediately so that the mistake can be rectified. Players should report such a mistake within 90 days from when the mistake first appeared on the statement available on the website. Gaming Operator holds all customer funds separate from company funds in ring fenced accounts with Bank of Valetta. This means that steps have been taken to protect customer funds but that there is no absolute guarantee that all funds will be repaid. This meets the UK Gambling Commission’s requirements for the segregation of customer funds at the level: medium protection. any wager or account transaction of ill-gotten means or otherwise related to such transactions described in Section 3.9 all related wagers, bonuses received and winnings accrued thereof are considered null and void, and the Player’s Account will be returned to its starting balance (for the avoidance of doubt the starting balance is the balance the Player had on the Player’s Account prior to the erroneous wagering activity less any bonuses received and winnings accrued thereof). In case of an error referable to Gaming Operator’s suppliers or other third parties, Section 17.3 below shall apply. due to an error, such as a mistake, misprint, technical error, force majeure or otherwise, wagers have been offered, placed and or accepted due to this error. Available withdrawal options and associated fees and requirements are listed in Section 22. Detailed information concerning the available withdrawal options is available on the Site. The Player always has access to its deposits and winnings (subject to the bonus money turnover requirements set forth below) and may at any time request a pay-out from its Player’s Account. The Gaming Operator will execute pay-outs within three bank days. In accordance with Section 22 there is a minimum pay-out amount (“Minimum Pay-Out Amount”). In case of cumulative amounts in excess of the equivalent of 500,000 Naira the Gaming Operator will conduct an identification verification process to establish the Player’s identity, age and place of residence. The Gaming Operator also reserves the right to perform such verification procedures in connection with pay-outs where the amount corresponds to less than the equivalent of 500,000 Naira. In case the Player wants to withdraw a smaller amount than the Minimum Pay-Out Amount, Gaming Operator shall be entitled to charge the service fee set forth in Section 22 (“Service Fee”) from the balance of the Player’s Account. If a Player Terminates the Player’s Account, all funds (except bonus money) will be transferred to the bank account or credit card from which the funds paid into the Player’s Account originated. Gaming Operator actively endeavors to combat money-laundering. All transactions are checked to prevent money-laundering and suspicious transactions will be reported to the relevant authorities. As a standard operating procedure, pay-outs from a Player’s Account to the Player will be made to the bank account or credit card from which the funds paid into the Player’s Account originated. To the extent considered possible by the Gaming Operator, transactions will be made in accordance with the choice of withdrawal method provided by the Player to the Gaming Operator. However, the Gaming Operator reserves the right, at all times, to make the final decision on the choice of withdrawal method. Depending in the Player’s or the Gaming Operator’s choice of withdrawal method withdrawals may result in fees payable to a third party, such as banks and financial institutions. Information about applicable fees from time to time is provided on the Site under “My Account” and “Settings”. The Player understands and accepts that such fees and other fees payable to third parties shall be paid by the Player. In case a bank account has not been designated by the Player, the Player will be required to fax a copy of the Player’s identification documents to the Gaming Operator and notify the Gaming Operator of the bank account to which payment shall be made. Before any pay-outs are carried out the Gaming Operator has the right to request a valid document of identification, for example a copy of a passport, driver’s license or any other valid document of identification. The Gaming Operator reserves the right, in its sole discretion, to determine which documents of identification that are acceptable. If the Player has deposited funds with credit cards or debit cards or if the Player has requested a pay-out to be made to a credit card or debit card, the Gaming Operator has the right to request copies of both front page and back page the relevant card. For the Player’s own safety, the Gaming Operator recommends that the Player only makes the first six (6) numbers and the last four (4) numbers on the credit card or debit card visible when providing the copy of the card. 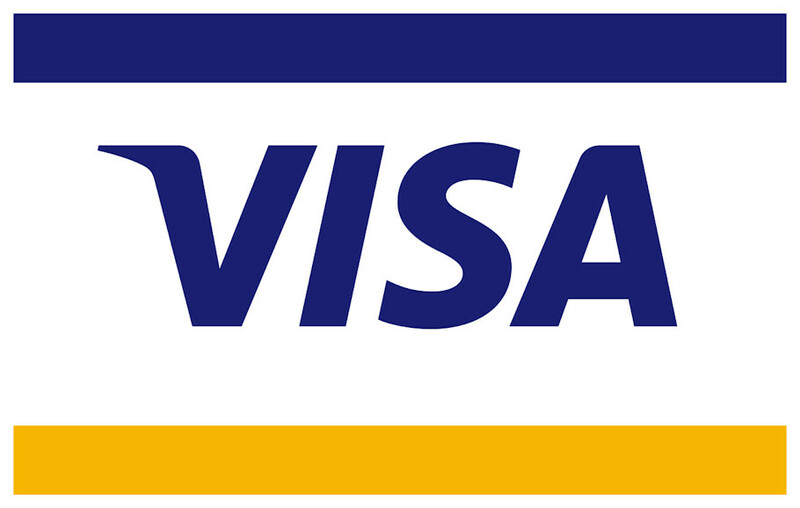 The CVV/CVV2 number on the credit card or debit card should not be visible on the copy. Financial institutions, banks and other Third Party Payment Processors may charge Third Party Payment Processor Fees. The Player is liable to pay any and all Third party Payment Processor Fees. Gaming Operator reserves the right to refuse pay-outs from the Player’s Account and to Close a Player’s Account if this is not used for wagers on the Site and/or if there is suspicion of abuse of the Gaming Operator services, fraud or any other criminal act. as a Player that there are additional software tools available that can be used to assist you in restricting access to gambling sites. Examples of such tools are Betfilter www.betfilter.com and GamBlock www.gamblock.com. Certain provisions laid down in this section refer to the rules, terms and contractual provisions for specific games, which are found in a separate link from this page. The rules linked to from this page form an integral part of these Terms and Conditions. The Player shall abide by any and all rules in the Games as set out in connection with the Games and/or in the corresponding help files such as the House Rules and the House Policies. Customer support is provided and complaints are handled by Gaming Operator through an on-line help desk using the contact form at the Site (the “Customer Support”). All inquiries and complaints must be directed to the Customer Support in writing or in electronic format. A complaint shall be deemed to have been submitted in a valid manner when it contains clear information regarding the Player’s identity and gives all relevant details giving rise to the complaint. If you have submitted a help desk request you are required to allow Customer Support staff adequate time to respond to your inquiry or complaint. Complaints will normally be handled by the Gaming Operator within two working days from submission of the complaint by the Player. In the event that there is a discrepancy between the outcome of a game as recorded in Gaming Operator’s database, and that recorded by the Player, the information recorded in the Gaming Operator’s game server will be considered valid. Spamming of Customer Support (sending repeated copies of the same message) is prohibited. Players are prohibited from harassing or abusing the Customer Support staff. Players are requested to address their concerns without the use of obscenities or threatening language. Players are prohibited from discussing a complaint or the length of time within which same has been pending or has been processed by Gaming Operator in the chat rooms. The Player accepts and acknowledges that the Player’s Account automatically will be classified as Dormant if there has been no log-in and/or log-out on the Player’s Account during a consecutive period of thirty (30) months. Should the Player’s Account be classified as Dormant, the Gaming Operator will try to contact the Player using the email address on record in order to pay out the balance on the Player’s Account, minus any bonus money, to the Player. If the Gaming Operator using reasonable efforts is unable to contact the Player and if the Player is not a Nigerian resident, the money will be forfeited. A Player is prevented from bringing a claim against the Gaming Operator in the event the Gaming Operator has duly forfeited the balance. Gaming Operator is committed to protecting your privacy and personal information. Personal and financial information of Players will be kept confidential. However, under applicable laws and gaming regulations, Gaming Operator is required to maintain a secure online list of all registered Players which may be disclosed to the applicable regulator upon request by the regulator. Hence personal data needed to identify a Player and such Player’s gaming transactions will not be deleted even if a Player’s Account is Closed, Blocked or Terminated. Gaming Operator may retain such information for the period that is required in accordance with applicable laws and gaming regulations. Gaming Operator will delete or destroy such information about you when it is no longer needed and in line with applicable laws and gaming regulations. “Personal Information” shall be defined as any information about the Player that directly or indirectly identifies the Player. The types of Personal Information the Company may collect from the Player could include, for example, the Player’s name, contact information, birth date and billing information. Most of the Personal Information is supplied by the Player on a voluntary basis and some is gathered automatically by the Gaming Operator’s systems such as statistical data on the Player’s use of the Gaming Operators website. The Player’s personal data will not be disclosed to third parties, unless such disclosure is necessary to process the Player’s requests, such as effecting transactions on the Player’s Account or participating in games, to carry verification procedures or unless it is otherwise required by law. Since the Gaming Operator’s service providers are responsible for certain parts of the overall functioning or operation of the Site, personal data may be disclosed to such third parties and the Player hereby consents to such disclosures. The Player also consents to the processing and transfer of personal data for the purposes of detecting and preventing fraud and other criminal activities in relation to the Gaming Operator. By using this Site and/or any services provided by the Gaming Operator you opt-in and consent to receiving communications by SMS, e-mail and telephone. Should a Player wish to opt-out from receiving such communication, the Player may opt-out by editing the settings in My Account on the Site. It is the sole responsibility of the Player to understand the laws in his/her jurisdiction of residence relating to all aspects of playing at Gaming Operator. Your access to the Site is on your own initiative and you are responsible for your compliance with local laws if and to the extent local laws are applicable. Gaming Operator makes no representation that materials on the Site or Gaming Operator’s services are appropriate, available or allowed in your jurisdiction. Gaming Operator is unable to provide any legal advice regarding this matter and Gaming Operator accepts no responsibility whatsoever should an individual act in breach of any law or regulation in transacting with Gaming Operator in whichever manner. The Site may provide links or references to other websites. Gaming Operator has no particular knowledge of information contained in such other sites and does not endorse companies or products to which it links. Gaming Operator does not have any responsibility for the contents or policies of such other sites and does not accept any liability for any damages resulting from your access to or use of such other sites. If you decide to access any of the third party sites linked to the Site, you do so entirely at your own risk. Gaming Operator reserves the right to terminate any link or linking program at any time. All content on the Site, such as text, graphics, logos, button icons, images, audio clips, digital downloads and software is owned or licensed by Gaming Operator. You may not access, print and download portions of material from the Site unless expressly permitted and then solely for your personal and non-commercial use. Information on the Site may not be altered, distributed or displayed without the express consent of Gaming Operator. Gaming Operator’s trademarks, trade names and other symbols included or referenced on the Site (the “Marks”) are protected by national and international trademark laws. All use of the Marks is strictly prohibited without Gaming Operator’s prior written approval. The Marks may not be used in connection with any product or service that is not approved by Gaming Operator or in any manner that is likely to cause confusion among customers or that disparages or discredits Gaming Operator. The Player does not obtain any rights in relation to the Marks or any other materials on the Site. A breach of these provisions may entail liability for damages. If you upload or post materials to the Site (including but not limited to comments, suggestions, problem reports, bug reports and design ideas) you agree that you automatically grant to Gaming Operator a non-exclusive, royalty-free, world-wide and perpetual license to use, modify, incorporate and reproduce such materials in any manner and you waive all your moral rights in relation to such materials. Jobigames.com is a trade name for our amazing Gaming platform powered by Jobi Express Universal limited. Jobigames.com was established with you in mind to bring fun to the screens of your mobile smartphones through our unique cloud based Games.